This is my cat Lucky. You have seen him before. Well, today I was using my Cherry Lynn dies and Lucky hopped up onto the table. It looks like he is choosing a die to work with! Yes, I think I like this one. Yes this one will do. I want this one Mum! Stay tuned folks to see what Lucky comes up with next time! Hello and welcome back. Celeste here with you for this Wednesdays post. It was my 19th wedding anniversary last week and since I received the new release Wedding Garter border, it seemed appropriate that I do something regarding my wedding day! Here is my wonderful hubby and myself on our wedding day. I used the Diamonds & Starburst embossing plate under the photo and on top of that, I placed the Dutch Doily Rectangle Frame over the photo. I then added the Wedding Garter border around the embossed paper and added the bride and groom lettering. All the flowers were cut out of white card stock and inked with various Tim Holts distress inks. This took a while but the end result was quite worth it! I found that the best way to stick all these flowers down, was to use glue dots. After sticking down most of the flowers, the Fanciful Flourish and Olive Branches were inserted underneath. The flowers were to represent my bouquet, but I got a little carried away! They were so much fun to play with. In my veil I had small crystals, so to incorporate these, I used crystals in the middle of my big flowers. I hope you like my layout this week, as I had a great time reliving the memories of my special day. This is a layout I prepared for the My Minds Eye challenge. The challenge called for the theme "new" on the layout and to follow the sketch provided. You had to use at least 80% of My Minds Eye products. "Darling Dots" and "Thats My Boy". The tag was Rosy "Best of Friends" as was the big spotted paper. All of these papers are from My Minds Eye range. The flowers were made by me using the above papers. A bit of bling and thickers from my stash were used for the title. There is still time to join in the fun! Head on over to My Minds Eye and check out the challenge. This is an album I made for my sister, who lives in America. We are only 14 months apart in age and are very close. I miss her very much. Anyway this is for her birthday! In the above picture is the front cover of this album. I have used numerous dies and the paper is from My Minds Eye, Sunshine collection. I used the Judy's Blooms die for the cover adding a pin and a photo of myself with my sister. Thickers were used for the title. On the first page, above left, I used the Sweetheart Frame with the Medium Rose and Large Rose dies. These were glued down flat so that they would not get ruined in transit. On the second page, above right, I used my all time favourite die, the Fanciful Flourish, in gold and added Darling Daisies in gold and black card stock. For the third page, above left, I liked this paper too much to cover it up! So using the French Flair-Classic, I just cut out one of the nesting dies and popped a photo on and used a rub-on up the top which I will put her name in. To make the fourth page, right hand side, I wanted it to look kind of uniform. So I just cut another of the French Flair-Classic dies and put a photo on that one too. I added ribbon and some bling because you always need bling somewhere!! For the fifth page, above left, I used blue (also in the Sunshine Collection) to break up the album with. The English Tea Party die was used as the base while the inside of the Dainty Dutch Deco Frame was popped on top. It was fun taking these two dies and putting them together to get this great outcome for the page. Another one of my favourites is the Tropical Flourish, which I have cut in black for contrast. I added the Olive Branches and Stacker Flower #1 Leaves and then making (with great effort!) roses with the Cuties 2 die. The sixth page, above right, the Fanciful Flourish was used again! with the Darling Daisies and Olive Branches. This time I used the larger two French Flair-Classic dies, inked around the edges and put pearls around too, before adding the photo. On the seventh page, above left, I made a pocket for some tags and journaling. I used again! the French Flair-Classic nesting dies and the Lace Light Deco Border, which is fast becoming another favourite!! I kept this page nice and simple so that the tags could be the focus. They are shown further down the blog. On the eighth page, above left, to keep uniform again, the French Flair-Classic die was cut and a photo of my sister's dog, Gordon, was popped in. For the corner of this page I used the Victorian Romance Flourish with the Olive Branches and the Large Rose die, popped on top. For the ninth page, above, I used the French Flair-Classic nesting dies and used them to make a frame for the photo. I loved the way it turned out and as you can see I LOVE the French Flair-Classic die. Until it's out of my system you will be seeing it everywhere LOL. For the back cover, I cut around this bird that was on one of the papers, and just popped him on the back. Seeing as the album will be mostly sitting on this side, I didn't want anything on the back that might get caught. These are the four tags that are inserted into the spaces between the pages. From left to right, the first tag has the Tropical Flourish with the Medium Rose on the front and on the back, photo below left, I used a transparency and some rub-ons. In the second tag, Judy's Blooms and a Large Rose die made up the flower, while the French Flair-Classic nesting dies made for the photo mats. On the reverse is space or journalling. The third tag has space for journalling or small photo, and I cut the Medium Exotic Butterfly out of gold and popped it onto the black background of the tag. On the reverse of the third tag I used the Judy's Blooms leaves with the Miniature Rose die, the French Flair-Classic die and the Ribbon Eyelet Border Die at the bottom with yellow ribbon wound thru. The last tag on the far right has the Lace Light Deco Border up and down both sides with a photo at the bottom and pearls at the top. On the reverse of this tag is a picture and a left over part of the Lace Light Deco Border that fit the photo perfectly. The photo below is just a close up of the Cuties 2 die and how it should come out. I believe Sandy put up a quick tutorial on the blog (which was invaluable) sometime last week. You must check it out and have a try. And lastly here are the two tags that sat in the pocket on page seven. One was made from the French Flair-Classic, again! nesting dies. The other tag was made using a shipping tag and covered in my collection of papers. Well. You have made it to the end of my blog! I thank you sincerely for reading it all and coming on this Cheery Lynn Designs journey of dies. I had such fun making this album and I know my sister will be thrilled with it. Ok folks, thats it! 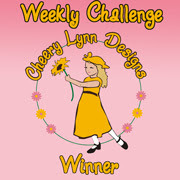 Please head on over to the Cheery Lynn Designs blog and look out for the weekly challenge. Using these dies you could create an album like this. Have a go! Hello! Celeste here with a special post. 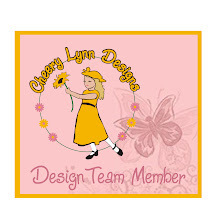 Today is the day for the new release dies from Cheery Lynn Designs. These dies are going to be so much fun to play with. Unfortunately Australia Post has not delivered my dies in time to create a project for you today. I will be away from home from Friday and over the weekend seeing my dad who is ill. So when I get back on Monday, I am hoping the postman has been to my house and left my wonderful dies! Hello and welcome back! Celeste here with you for another Cheery Lynn Designs project. Seeing as we are bringing in the new year, I have made a calendar this week. I found this Kaiser beyond the page desk calendar in my stash and thought it would be perfect for another project. Of course I dressed it up with Cheery Lynn Designs dies! Firstly I covered the main piece with paper from the Kaiser Craft 6 1/2 inch paper pad Madame Boutique series. I love this paper as it has gold foil on some of the papers and it brings to life the miniature roses perfectly. Using the miniature rose die, and darling daisies die, I inked the edges and put together a few flowers. Before adding them though, I made the leaves using the olive branches and stacker flower leaves. Starting in the middle I kind of made my way around popping in the leaves and flowers as I went. Lastly I slipped in the photo and the month, which you can also change. I hope you like the finished product. Thank you to my beautiful twins Cameron and Amberly for posing for me! If you haven't already entered the weekly challenge, head on over to the Cheery Lynn Designs Blog for all the information. You too could be in the running to win a $20 voucher! Hello everyone. It's Celeste here with the last in my series of Bathing Beauties. I have created a card to match my layout and tags. I hope you enjoy. Firstly I started off with 6x6 card stock and folded it at the top so the card could be lifted up. I then used the French Flair-Classic dies to create the base of the card. I used the French Pastry Doily under the picture just so the edges could be seen. I made the small flowers out of the Miniature Rose die and just popped them on top of the Fanciful Flourish and inked and stickled them. The main flower is made up of the Judy's Blooms die with the leaves and the Pair of Ferns resting on top of the French Pastry Doily. I put the Dragonfly on the left hand upper side of the card and inked and stickled it too. This is the inside of the card. I, again, used the French Flair-Classic Die to look like the outside of the card. I used one of the smaller dies of the French Flair-Classic dies to make a place to write or stamp a saying or whatever you would like to put in. For the flower, I just used the inside of the Heartland America Large die and the Heartland America XL die and popped both doily's together with the petals of the Judy's Blooms on top. With the Fanciful Flourish underneath and another Miniature Rose, I finished the inside of the card. Thanks for stopping by and I hope you had a Happy and Safe New Year. All the best for 2012. If you would like to win a $20 voucher for some of these amazing dies, pop on over the Cheery Lynn Blog and enter the weekly challenge. You can also check out the awesome projects the Design Team have created. Good Luck!